On a scale of 1-10, what’s your stress level? No matter how healthy you eat or how many times you hit yoga or the gym, you aren’t immune to stress. So, what’s the big deal? Chronic stress negatively effects every system in your body, and can be the culprit behind weight gain, digestive issues, and fatigue. Plus, stress can kill you. Literally. In Japan there is a word for it: Karōshi , which means death from overwork. In the States, we recognize Broken Heart Syndrome, or stress-induced cardiomyopathy, which in some cases, can also be fatal. So, what are you doing to manage your stress? Actively managing it requires both diet and lifestyle shifts. 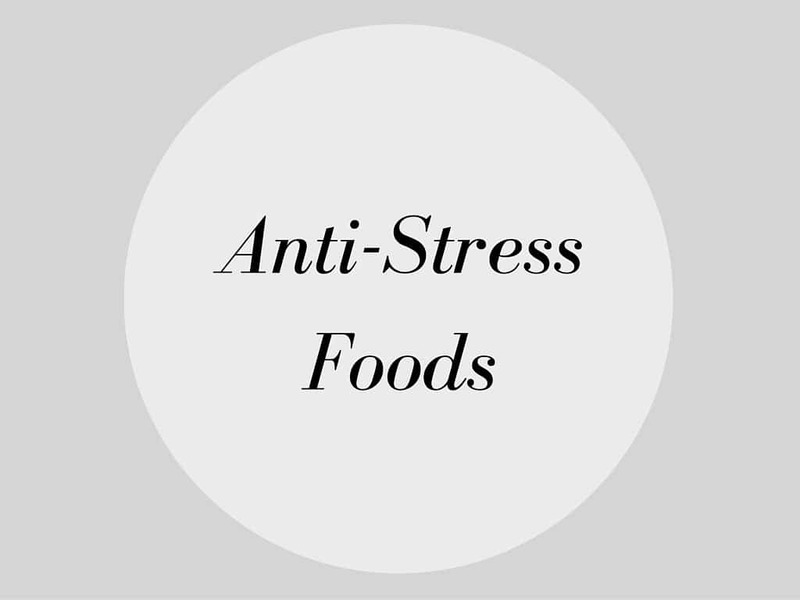 So below, I’m sharing 7 foods that will help your body deal with stress, and in a separate post, I’m sharing 3 stress-busting activities, as well. 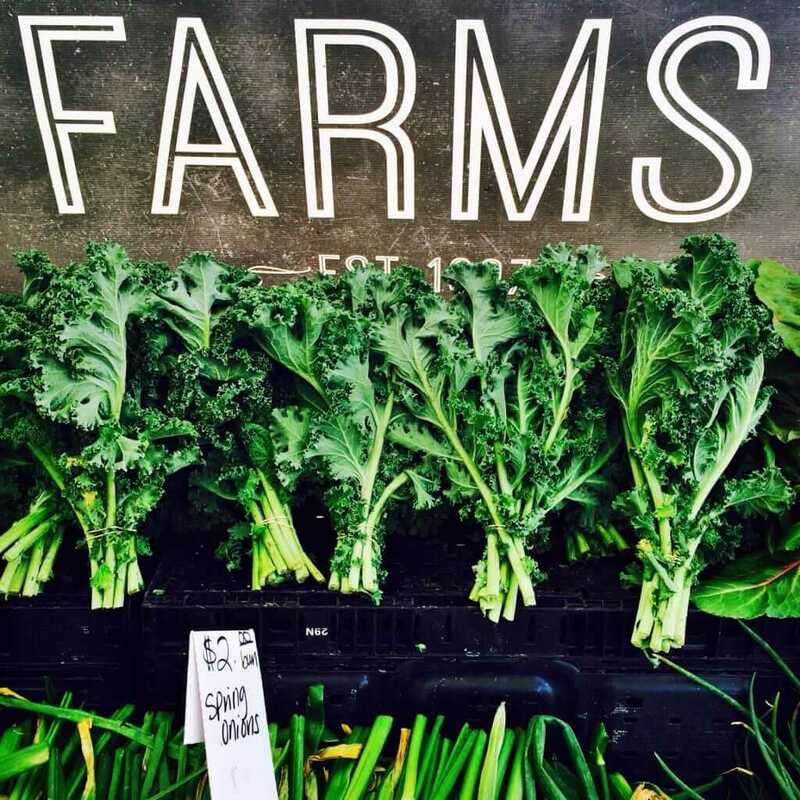 Dark leafy greens contain high levels of magnesium, a critical mineral for managing stress. Stress depletes your body of magnesium, and this can lead to headaches, anxiety, and restlessness. You won’t feel the results of eating greens instantaneously, so be sure to keep them in daily rotation to reap the benefits. Try this Spicy Kale & Mint Salad. Chia seeds are a good source of magnesium, a critical mineral for managing stress and mitigating depression. Plus they contain high levels of omega-3 fatty acids, which provide anti-inflammatory benefits to the brain, resulting in less stress and anxiety. In fact, some doctors and researchers believe the growing epidemic of depression and anxiety in our population has something to do with our diet, including widespread omega-3 deficiency. Add chia seeds to your morning smoothie. Creamy avocados are high in stress-busting B-vitamins, which support healthy nerves and brain cells. In fact, some studies suggest feelings of depression and anxiety may be linked to B Vitamin deficiency. Try this Kale & Avocado Salad. Nuts, including almonds, cashews, and walnuts contain zinc, a mineral that plays a crucial role in modulating the way the brain and body respond to stress. They’re also a good source of stress-busting magnesium. Try this scrumptious Cashew Basil Pesto. There’s no mistaking the feel good rush we feel after biting into a piece of dark chocolate. That’s because it boosts our serotonin levels, which also boosts our mood and makes us feel happier. In addition, studies indicate polyphenols found in cocoa can reduce stress. Opt for dark chocolate that has at least 70% cocoa (85% is even better!) and a gentler natural sweetener such as coconut sugar. Better yet, add pure cocoa or cacao powder to your smoothie, like this stress-busting Serenity Smoothie. Having a cup of green tea instead of the usual frap not only gives your body a break from high levels of caffeine – population studies indicate it reduces stress, too. (Note there is still caffeine in green tea, just less, and it tends to be gentler on the body). Other studies have singled out theanine, an amino acid found in the tea, for promoting relaxation and anti-stress effects. Beans, like chickpeas, black beans, and cannellini beans, provide high levels of folate, a B Vitamin that has been scientifically shown to reduce and relieve stress by regulating mood. They’re also a good source of B6 which supports the central nervous system and may aid in the reduction of fatigue. Try these deliciously addictive chickpea croutons.